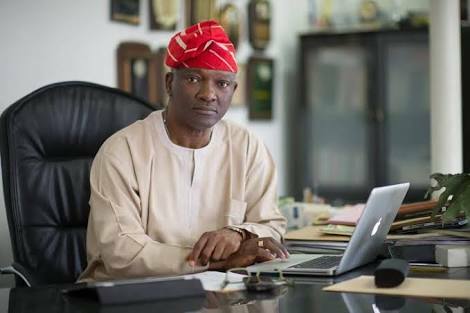 We, the people of Lagos Solidarity Forum hereby declare our unconditional support for Mr. Jimi Agbaje, the man who has the capacity to heal Lagos State from 19years of political plague and kwashiorkor to the much-desired economic freedom. Our emotions have known no bounds since his declaration to seek election as the Lagos State Governor in 2019. Mr. Jimi Agbaje’s in-depth understanding of class issues in Lagos State, as well as his well-known dogged resistance to godfatherism, has drawn him to the voiceless and downtrodden of the state. We believe that he has the sincerity of purpose to free Lagos State from political marauders feasting on its resources for their benefits and cronies alike. We have utmost belief in Mr. Agbaje to revive the hopes of Lagosians health system and services, waste management, education, power, water, roads, drainage, and taxation. We all know that Lagos is vastly blessed and full of opportunities that can better the lives of indigenes and its residents at large. Also, we recognize the boundless leadership rectitude displayed by our father, Chief Bode George, who has been relentless at calling the attention of Nigerians to the mindless corruption and milking of Lagos State resources by one man and his stooges since 1999. We join hands with him and people of good conscience to say enough is enough! With the recent unfolding political events in Lagos State, the All Progressive Party, APC has exposed itself as a party built on fraud, god-fatherism, corruption and total disregard for internal democracy. The Lagos Solidarity Forum is politically ready to mobilize all active political structures within the state that are committed to collaborate and uproot the entrenched reactionary leadership in Lagos State. We call on all visionaries and people of good conscience in the state to rally round and help refocus our Lagos to the path of economic empowerment and development that will benefit all and sundry by supporting Mr.Agbaje in the onerous task of becoming the next Governor of Lagos State by all means legally necessary.